All-in-one Marketing Platform.Powerful Email Marketing Made Simple. Email Marketing Gets the Results You Want. Whether you are sending An Email Newsletter, ASpecial Offer or An Invitation, Email Marketing and Social Media deliver your message and help get your business humming! Create Professional Emails that bring customers to your door. All you need is a free or Low-Cost Subscription, and you are good to go! No software to download or keep updated. See every open and click so you'll know what types of Content and Offers get the best response. With just a few clicks, you can Create An Email, send it off and start Growing Your Business. Email Marketing has an average return on investment of more than $44 for every $1 spent! Grow your business with Marketing and Sales Automation, Automatic Follow-Ups and Save Time with a Seamless Experience. 6 Ideas to Refresh Your Email Marketing . 1. Revive your Subject Lines. 4. Clean up the Content. 5. Update your Call To Action. 6. Add Social Media Buttons. EMAILS HELP YOU BUILD TRUST, ESTABLISH A RELATIONSHIP AND IMPROVE BRAND AWARENESS – ALL OF WHICH PLAY A ROLE IN THE PURCHASING PROCESS. How Email Marketing Helps Your Small Business? If you are wondering how Email Marketing can boost your business, you are not alone. Plenty of savvy business minds have pondered that question. Like any Smart Business Owner, you want to know the Benefits ofEmail Marketing. There’s a whole list of benefits, which we will cover here, but one of the most compelling reasons to use Email Marketingis its Return OnInvestment (ROI). According to the Direct Marketing Association, Email Marketingbrings in about $40 for every $1 you spend. That’s one of the highest ROIs for any type of Marketing. 1. Email Marketing can Increase Sales. You want your Email efforts to pay off in sales. By sharing information about your business through Emails, you help customers see how valuable your product or service is. What kinds of emails bring in the most sales? The best way to increase sales through Email Marketingis to send a variety of Emails to your customers. Nothing entices a customer more than a great deal. Your customer saves a few bucks and your bottom line gets a boost. Keep inmind,Promotional Emails aren’t reserved for only things like, “Don’t miss our 50% off sale.” A Promotional Emailscan offer other perks too, like free shipping or a free product trial. When a hot new item, service or update arrives at your store, an Email spreads the word about this must-have product. In the Email, include a link so shoppers can make a purchase instantly. While these Emails can boost sales, you can’t sell 24/7. Your customers want more than that. Every Email you send can get customers one-step closer to making a purchase, which is why a variety of Emails is the best strategy. 2. Emails keep your business top of mind. Email Marketing can help your product or business remain top of mind to your consumers. Emails serve as gentle reminders about your business. Emails help you stay in front of your customers on a regular basis. What kinds of Emails keep your business top of mind? There are several actually. These Emails are more about staying in touch with customers and less about selling. A Company Newsletter is a great way to update your customers about your business. The sky is the limit for Newsletter Content. You can offer small history lessons about your business, talk about upcoming events, highlight employees, or offer industry-specific news and tips. The Newslettereven offers free downloads. 3. Keep customers coming back with Regular Emails. Emails help you build a lasting relationship with your customers. You don’t just want one-time customers; you want loyal customers who keep coming back again and again. Email Marketing can make that goal a reality. By regularly reaching out to your customers, you encourage them to make another purchase. The Email is the Spontaneous Meeting, and a Purchase is the Result. What kinds of Emails keep repeat business booming? There are few Emails that help bring customers back into the sales cycle. 4. Use Emails to Establish your Authority. Plus, Emails that provide value get shared. It’s like virtual word of mouth. 5. Establish and Nurture Relationships through Email. It’s human nature to rely on those you trust. It’s no different in business. You can use Email to establish and nurture a relationship with your customers. Think of Emails as a virtual handshake or a conversation between you and your customers. Emails give you a chance to make a personal connection. Whether you are courting new customers or engaging with loyal members, an Email Campaign is one of the best ways to build a relationship. When a new customer signs up for your Email List, a Welcome Email can introduce them to the company and its products or services. It can be a quick Welcome Emailwith a promotion, or you can try a Welcome Emailthat offers more information, like the one below. Use Email Marketing to share customer reviews. By sharing a Testimonial you reaffirm your customers’ choice in your business. That’s helpful when you are nurturing a relationship. How to Choose the Right Email Service Provider? 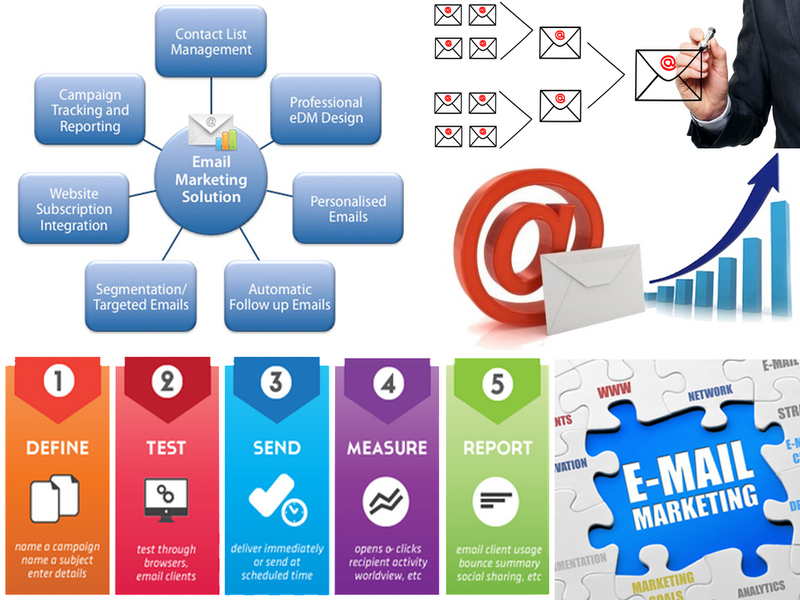 Email Marketingis one of the Most Cost-Effective Ways to Increase Revenue while staying in touch with your customers. It takes time and resources to craft a killer Email Campaign. An Email Service Providercan help your Small Business generate and send Emails that are targeted to your customer niche, get them delivered and provide actionable results. If you are in need of some Email Marketing help, look no further K3 Web Creationhas put together a list of criteria for the right Email Service Provider for your Small Business. K3 Web Creationan Email Service Providerin Mumbai, Indiaoffers affordable, top-notch service that helps you reach your customers with Effective and Creative Emails. CONNECTIONS THAT LAST ARE BUILT IN THE INBOX!